Wood thrush; District of Columbia's official bird symbol. Photo by Tom Benson/Flickr (Noncommercial Use Permitted with Attribution/No Derivative Works). The wood thrush (Hylocichla mustelina) stands with the posture of an American Robin, but has a slightly smaller, pot-bellied body. Male and female adults look alike, with a cinnamon-brown color on their crown and nape that fades to olive-brown on the back, wings and tail. The breast is white with large dark spots which provide excellent camouflage as the bird forages in leaf litter for insects. 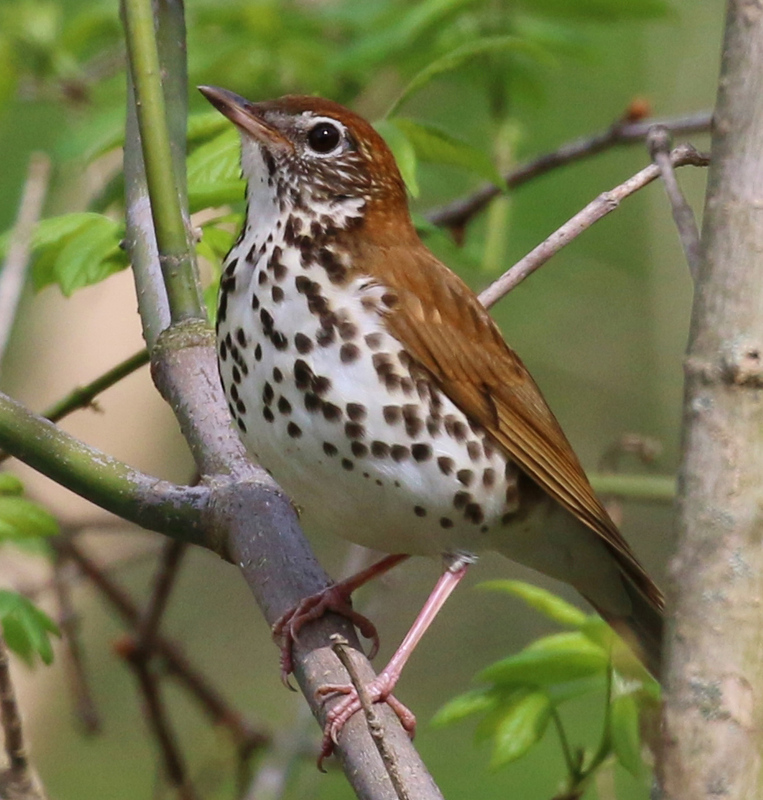 The reclusive wood thrush resides in deciduous forests in the eastern United States where it's loud song is heard less often due to rapidly declining numbers.